It’s perfectly okay for babies to continue falling asleep at the breast if you are both happy with it. There is nothing essential about separate sleeping and nothing biologically important about teaching babies this skill. Nice if you can have it happen, but not worth the tears and anguish if it doesn’t work, especially if you and your baby don’t mind. There isn’t a ‘sensitive window’ at any age. It’s not true that if you miss teaching it by a certain time the baby will still be insisting on breastfeeding to sleep in a month, or a year, or when they go to school. If you want to get your baby to fall asleep independently, try it, and if it works that’s great. If not, keep going until one or other of you are sick of it down the track. Then it will spontaneously stop or you can try to modify the behaviour in the usual ‘step by tiny step’ technique. But don’t let our ‘separate sleeping’, and ‘let’s make our babies independent as soon as possible’ culture determine the timing. I exclusively breastfeed my nearly one year old daughter to sleep. 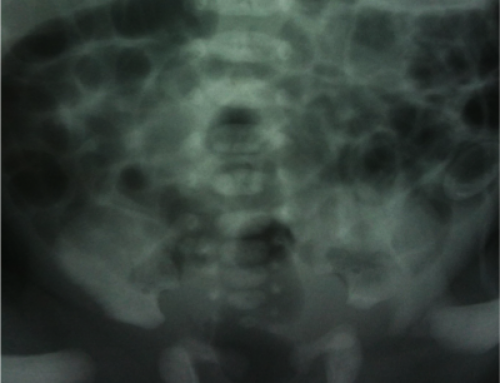 My clinic nurse informed me that this is the reason baby is waking 2 hourly in the night. Do you have any advice on how to encourage my baby to sleep for longer periods without “controlled crying ” ? Or will she naturally eventually sleep longer on her own? She will develop longer sleep times in her own time. You can certainly try some ‘step by baby-step’ negotiation: patting and dummying instead of breastfeeding with every waking, but there is no right way and no harm in continuing as long as you’re both okay with it. All coercive sleep modification involves distress, the important aspect is to minimise this as much as possible for the good of the whole family. Yes! Thank you! 11 months and I still happily breastfeed to sleep. I wouldn’t have it any other way. My 9 month only BF to sleep and wakes 2/3 hourly through the night. Has not taken a dummy lately but did when she was younger. Tried Patting in cot but she writhes around and gets herself all worked up , Only way she will settle is to suckle. I’m not up for sleep training that involves crying what other gentler ways can I try ? Removing the breast for her at this stage will involve crying. End of story. Wait a while and try again. I would not advise forcing the issue if you can cope. So if it’s ok to wake every 2 hours then is there no need biologically for babies to have more consecutive hours of sleep? Will it affect the babies brain development if they don’t sleep longer than 1 or 2 hour stretches? Human milk is a ‘continuous contact’ milk, not a ‘cache-species (nesting)’ milk. 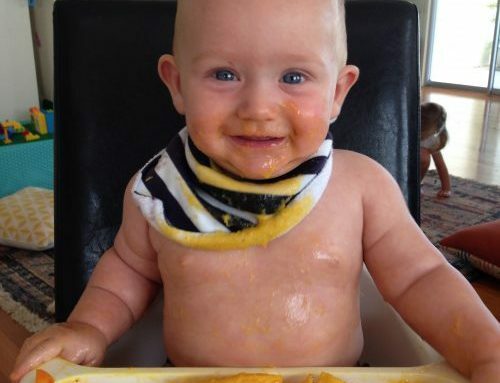 Hence it is impossible to aversely effect brain development by continuous feeding. The fear of this is engendered by cultural beliefs that has no basis in fact. Stop worrying that your instincts are wrong. 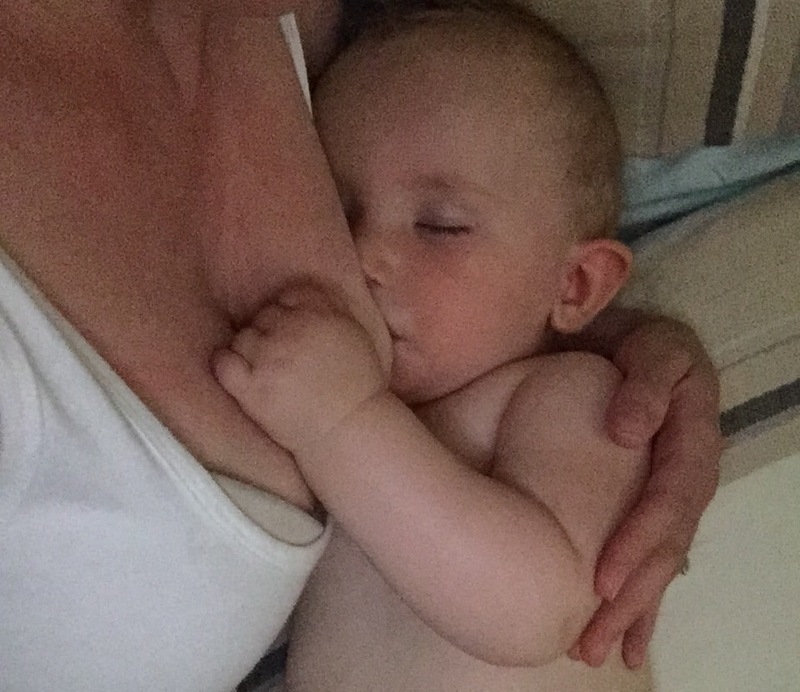 I am a Maternal and Child Health nurse and my nearly 2 year old still falls asleep at the breast sometimes at sleep times. We went to numerous sleep schools trying to break the habit and fix what we thought was a problem, but you know what she does know how to get herself to sleep as she does it for her grandparents she just prefers to relax with me while she has a feed and go to sleep, now we just go with the flow. Thank you for your book ‘baby or board’ a wise midwife gave that to me as a baby shower gift. And more frequently i am handing out your colic article to new parents i wish i had of read that one when my daughter was young. As a health professional we may think we have all the knowledge but that all goes out the window when its your own child and it has been lovely as a mother reading your book and articles. Thanks Candice. Spread the word about ‘colic’! I’ve read both of your great books and would really appreciate some advice. My son is 18months old and he still needs breastmilk to go to sleep. He always needs to fall a sleep on the breast before I can put him in his cot to sleep, otherwise he’ll stand up and constantly cry. He has two one hour naps in the day and plays and eats really well and we have setup a regular bedtime routine. He still wakes every 2 hours throughout the night which I’m finding very difficult. We have a couch in my son’s bedroom, which we use to read books and for breast feeding. Since my son’s birth I’ve been getting very exhausted, so mush so that I’ve been falling asleep with my son in my arms breastfeeding when I go to his room to feed him on the couch. My husband worries constantly about my son either falling out of my arms onto the floor or getting smothered due to me constantly falling a sleep when feeding, however he worries less now that my son is older. I find pulling my son off the breast early just means he wakes up more and he’s very heavy lifting him in and out of the cot, now that his over 13kg. I also try rocking with difficulty now that my son is so heavy and strong. So I’m not sure how to change his constant need for milk to go to sleep. We’ve been referred to an overnight stay at tresillian where they do comfort settling. My husband’s mother has a history of mental illness and my husband is worried that tresillian will make our son cry too much, possibly causing my son’s cortisone levels to skyrocket, which my husband believes may result in possibly triggering mental illness later on in our son. My husband is quite worried about this and is very adamant he does not want controlled crying to be used to help my son to sleep. I really want to find some solutions as I’m so tired and I think it would be better if my son had better sleep too as sometimes he wakes up with bags under his eyes. Do you have any recommendations or steps you could suggest? Thank you for your time ? This is not a simple issue. Where do you live? Can you see me in my clinic in Sydney or Northern NSW? I’ve found your book ‘Your Cherished Baby’ really helpful but would appreciate some additional advice. My six-month old son and I both came down with a nasty cold several weeks ago and not unexpectedly there was a lot more night waking and feeding during this period. Although we are both fully recovered the two-hourly (sometimes hourly) night wakings are continuing and I find it impossible to settle him without resorting to breastfeeding. I was happy to keep doing this on the basis that it was a phase that would eventually pass, but am losing confidence as the pattern repeats each night and i grow increasingly tired. 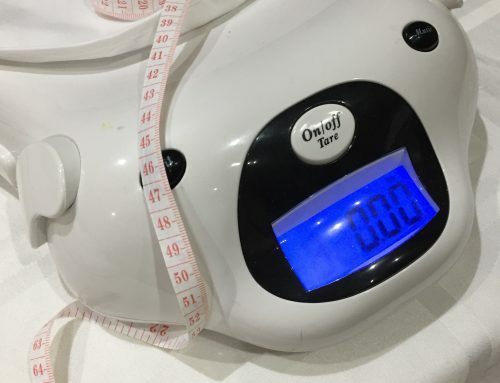 another worry I have is that my son’s weight and height are not in alignment (ie. At last measurement his weight was in the 85th percentile and height in the15th). I’m concerned the ongoing night feeding may exacerbate this and lead to weight issues in the longer term. He feeds four times during the day and has also started solids – interestingly he does not need a feed before settling for his daytime naps. Grateful for any advice you might have. A little extra weight at this age is not an issue. He is very reasonably using you your breast as a soother, and nothing works quite as well! Don’t worry about it and it will change. You can gently try the actions I suggest in Your Cherished Baby about the six month old to try an negotiate a more acceptable pattern for you. But make it step by tiny step and don’t worry if the results emerge slowly. We are not designed to sleep alone or for long periods when we are young. Things do change month by month anyway – even without pressure. I have read both your books and your blogs eagerly and repeatedly. They have been of such help and reassurance as I have navigated the past 8 months with my baby. I do, however, have a quick question. My baby has never been a great sleeper but we have certainly come a very long way from the earliest months! He now self-settles for his two day time sleeps and is settled in his cot with the use of a dummy of an evening. However, he still wakes up at least once a night (often around 3 or 4am). I follow your suggestions of providing comfort but delaying the start of a feed, but this still doesn’t seem to be working. I’ve tried several times to comfort him in his cot and also just to hold him, not to feed, but he ends up howling and gets so worked up I ended up feeding him anyway. I understand that there are no steadfast rules when it comes to night feeds beyond the 6 month period. I also wonder if discomfort from teething can play a part in his night waking. But I can’t help but think I am reinforcing and rewarding his night waking by feeding him. It’s usually such a quick feed and he happily returns to his cot. Would you suggest the best way to alter this behaviour is to camp it out? Or is this night waking one of those transient things that will eventually pass, even if I feed him? No, don’t camp out, feed him! It’s only once a night and he’s so good to you the rest of the time. There is more to feeds than food – but equally he might need the food at night anyway. It isn’t really natural for human babies to sleep through the night – even if some (lucky parents) do. Hang in there! I’ve just come across your website through a baby forum I am on..
Next year is a long way away. She’ll do a lot of development before then. What you are doing is excellent – but, I understand, inconvenient. Hang in there. The best way to make it worse is to put her under pressure to change! Babies mostly need security in their first year and the old fashioned views of the ‘routine-based parenting’ practices of the past should stay in the past. Check out some of my blogs. See my latest blog for more! I have a 19 month old who used to be perfect at putting to sleep. I would put her in bed, say a few words like “time for bed, good night” or something like that (can’t remember it’s been too long) and she would turn her head to the side and fall asleep. But that only lasted until she was about 5 months old and got a cold, so I breastfed her to sleep a few times. Since then she always needs to breastfeed to go to sleep for day naps, at bed time and during the night. 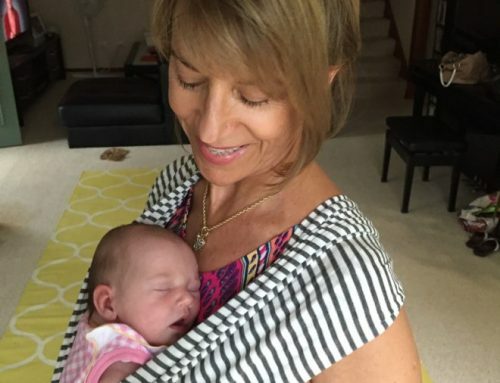 I have been feeling horrible about it for so long – I thought I had failed because I couldn’t get her to sleep the “proper” way. Now I don’t feel so bad about it knowing that it’s natural. I really enjoy your website and blogs. Thank you.